Day One at my first radio job after college was nerve-wracking. I was a San Diego kid in a small Kansas town and I was less than six months out of school. I worried that my new co-workers would see me as an inexperienced outsider. 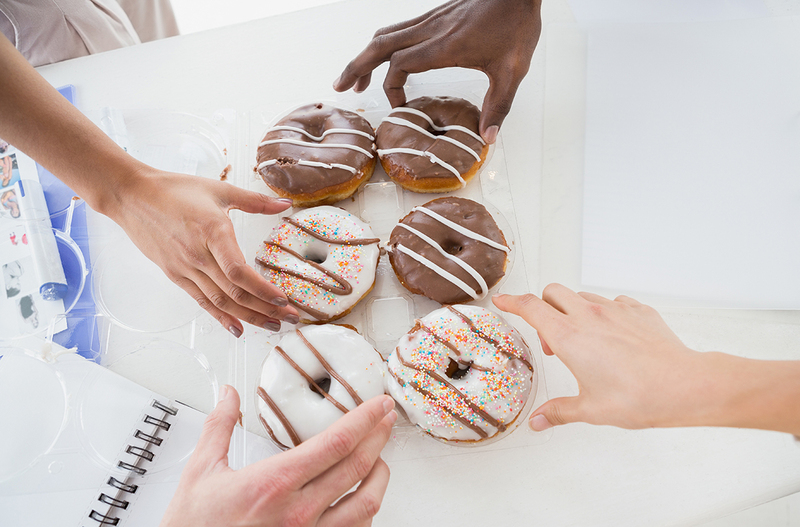 Here are five things you can do to quickly endear yourself to new co-workers. Bring them for the staff on your first day. It’s hard not to like someone who just gave you a chocolate old fashioned. What you learn on the station website will come up organically in conversation and they will appreciate you taking time to get to know them. When you see something that needs to be done, do it! Even if it isn’t in your position description. From the GM and news and program directors to stage managers and interns. You’ll build your reputation quickly. Don’t be demanding and don’t expect preferential treatment from anyone. Doing these five things will ensure you are a rock star from Day One in your new workplace.